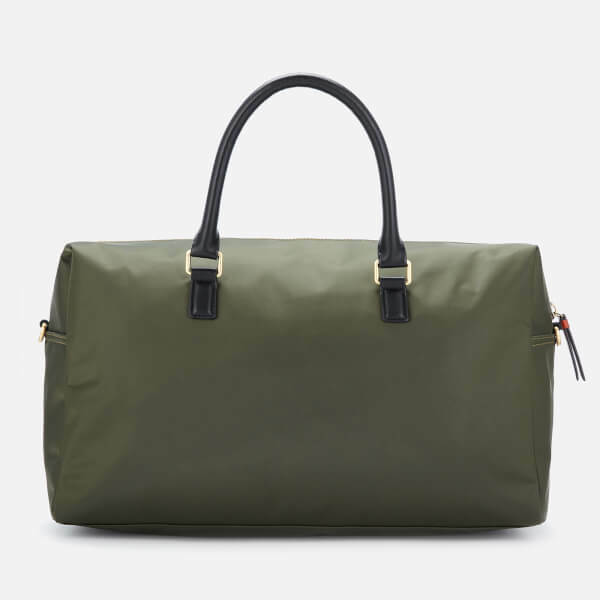 Large olive-green holdall bag from British fashion label, Ted Baker’s accessories line. 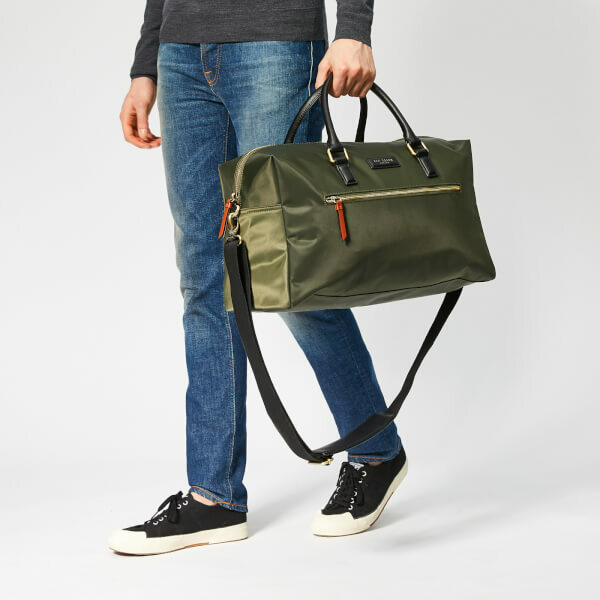 Designed in robust nylon with a satin-like sheen, the ‘Rokket’ weekender bag is suspended from a pair of rolled black faux leather grab handles, whilst an adjustable, detachable woven strap with a padded panel offers comfortable shoulder wear. 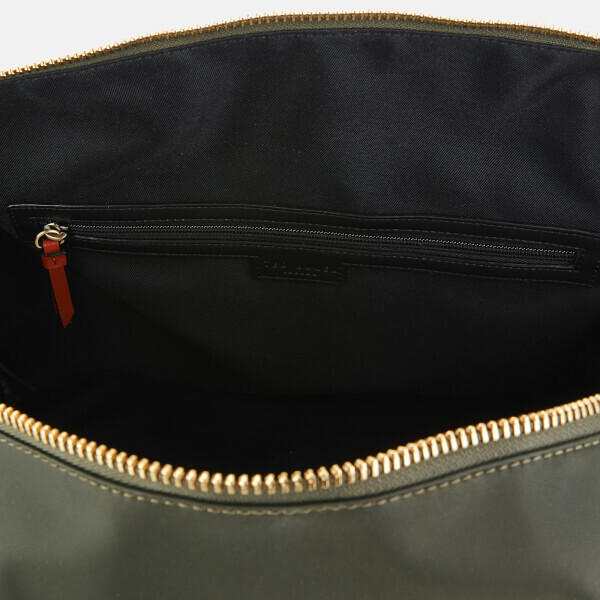 The zippered main compartment is lined with ribbed textile and houses multiple internal pockets, with an external zip pocket on the front offering additional storage space for essentials. 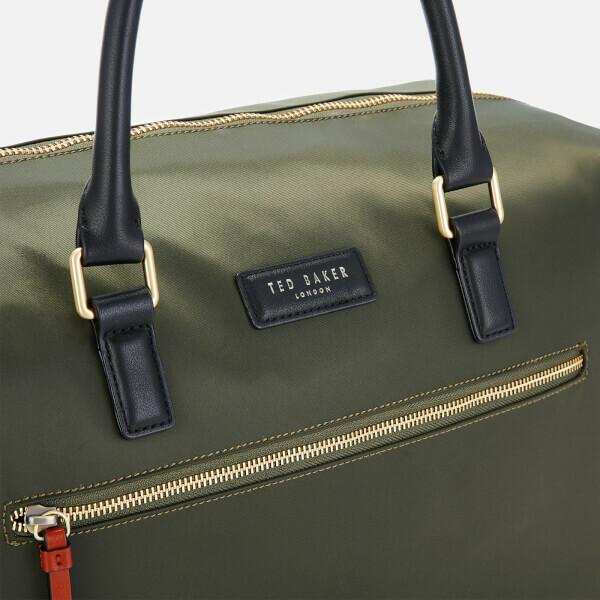 Gold-tone hardware and a pleather patch sewn to the front bearing foiled Ted Baker branding add the finishing touches. Dimensions: H: 27cm x W: 53cm x D: 23cm. Handle Drop: 10cm. 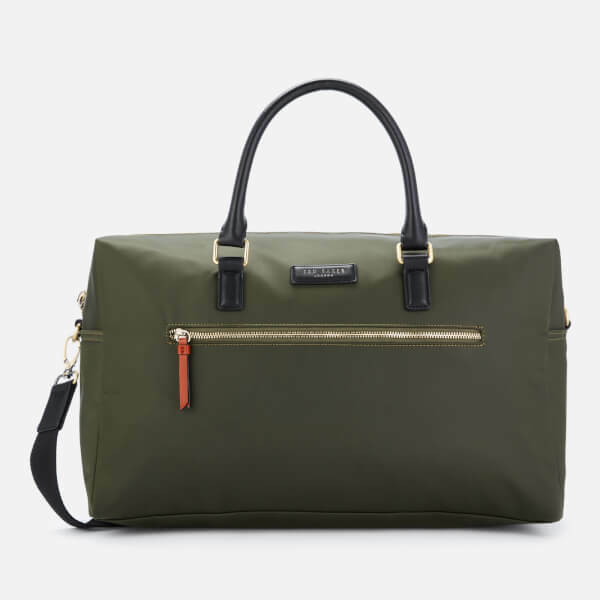 Strap Drop: 45cm-62cm.